He played 178 AFL games, was a regular star on the AFL footy show, premiership player, author, motivator and more recently TED Talk speaker. I could not have asked for a better person to interview, he was humorous and very open, his story telling ability, his passion and his genuine interest in talking about anything in an open and entertaining manner made the conversation incredibly engaging. 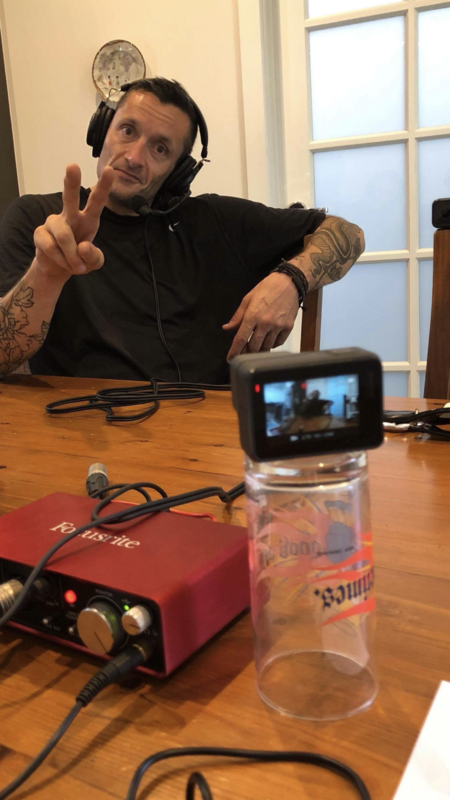 No topic was off limits, including Glenns divorce, his unique piercing, the defining moment at age 17 that completely changed his life, his mentor and many other topics such as the education system and the current problems facing young men and the youth of Australia. This is a very in depth chat with a man that reached the top of his sport and also became a household name through the exposure he gained as a regular guest on the top rating TV program, The Footy Show. Most recently Glenn produced a TED TALK, discussing his mentor that helped changed the course of Glenns football career and his life. Im sure you will enjoy this conversation as much as I enjoyed being there and I hope it helps you to become the person you are meant to be. Please subscribe to the podcast and I would appreciate any feedback via petertakos@hotmail.com or via the Petetakos.com website. Feedback may be mentioned in the next podcast via a special mention. Listened to it last night. Found it great, very interesting! Thanks Jackson glad you enjoyed it! I enjoyed Petes’ G.M podcast, I found Glenn to be a real character. Glenn came across as a very interesting person, he appears to be a friendly, likeable guy, willing to engage and share his views. The interview was relaxed and I really enjoy the style of Petes conversations with his guests. Nornally I don’t like podcasts longer than an hour cos it makes me run too far. This one was worth it! I’m a kiwi so had never heard of Glenn (is AFL a version of croquet?). However, I really enjoyed listening to his stories and hearing his passion for seeing young people grow up better prepared for the pressures that they face in today’s society. Thanks Steve. I’m glad you enjoyed it. I didn’t want to cut much out as I thought it was all so good. Thanks so much for the great feedback. I forgot to mention… the house looks really nice too.